CONDITION REPORT: Mint condition. The dial, hands, bezel and case are all original. The dial has faded to a nice chocolate tropical color while the lume has stayed in good condition. The rare Telemetre bezel has faded to a rich brown color over time. The dial luminous material is in excellent condition. 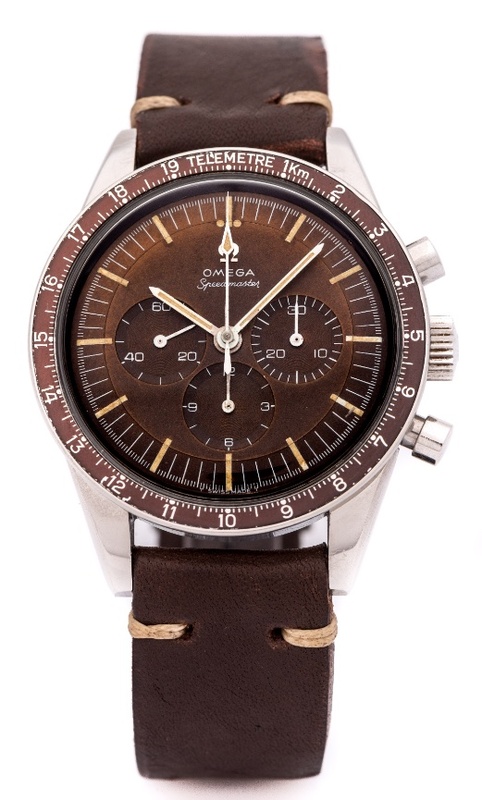 NOTES: According to the Omega museum, the present example was delivered to Venezuela in 1967.